Michel François Platini is a football administrator and a former French football player and manager. This biography profiles his childhood, life, football career, achievements and timeline. Michel François Platini is a football administrator and a former French football player and manager. A three time winner of the Ballon d’Or Awards is regarded as one of the best footballers of all time. 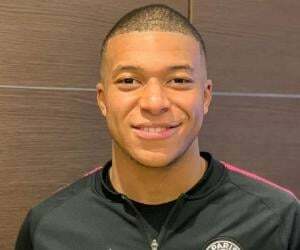 This French player led his country to two World Cup semi-finals. He was the top goal scorer and best player in the 1984 European Championship, which was won by the French National Team. A master of the free-kick, Platini was given the nickname of ‘Le Roi’ or ‘The King’ due to his amazing leadership qualities. He, Alain Giresse, Luis Fernández and Jean Tigana made up the ‘Magic Square’, a midfield players' group which was the crux of the French National Team. Even though he was mainly a forward midfield playmaker, he is noted for some celebrated goal scoring. He won the Serie A capocannoniere award three times straight and retired as the country’s highest goal scorer in international careers. Platini was also the coach of the French national team for four years and one of the organizers of the 1998 World Cup held in France. 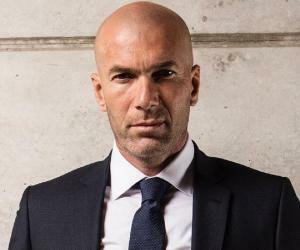 Apart from being the chairman of the FIFA Technical and Development Committee and vice-president of the French Football Federation, he was the president of the Union of European Football Associations (UEFA) till 2015. In recognition of his talent, he was included in the English and Italian Football Hall of Fame. He was banned for 8 years following an ethics investigation by the FIFA ethics committee on 21 December 2015. 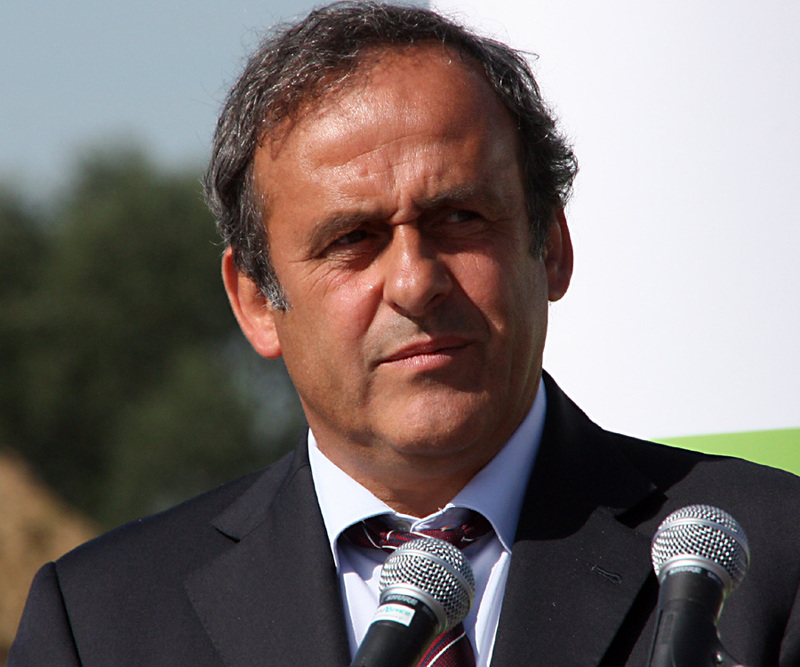 Michel Platini was born on 21 June 1955 in Jœuf,Lorraine, in the North East of France. He is the son of Ado Platini, the former footballer and director of AS Nancy and Anna (née Piccinelli). He started playing very young and first caught attention in a Coupe Gambardella tournament where Jœuf was playing against Metz. He was only 16 years old then. He could not make it to the trial with Metz and in 1972, joined his father’s club Nancy as a reserve. In 1973, Platini made his French first-division debut against Nimes. Soon he established himself as an important player of Nancy and using his impressive free-kick styles, led the club to the 1975 Ligue 2 Championship. In 1976, he helped France reach the quarterfinals at the Montreal Olympics. He signed his first professional contract with a club this year only. The 1978 French Cup Final saw him captaining Nancy to triumph against Nice but he was blamed for the poor performance of the French team in the World Cup of 1978. In 1979, he joined AS Saint-Étienne and in 1981, he won the French League with ‘Les Verts’. In 1981 and 1982, he led the team in the French Cup finals, but lost both the times. 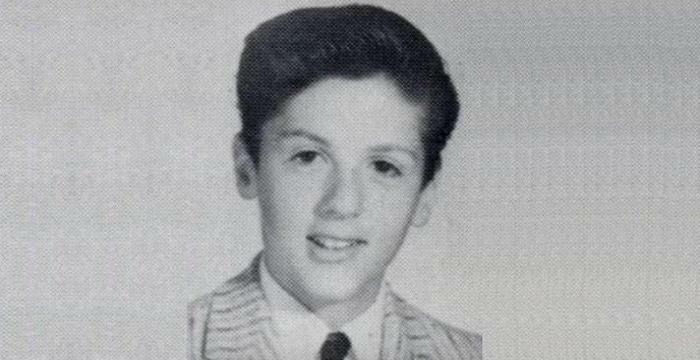 His career breakthrough came with the switch to Italian Juventus FC in 1982. The team won the Italian Cup Championship and Juventus won the 1984 Serie A and Platini gave one of his career best performances in the 1984 European Championships where he notched perfect hat tricks twice. Another important moment of Platini’s career was the time when he scored the only goal in the 1985 European Cup Final against Liverpool at the Heysel Stadium. But the event got overshadowed by the Heysel stadium disaster in which 39 people died, and 600 more were injured. Platini was not physically fit for the 1986 World Cup in Mexico. However, he threw in two important goals. He played for France in a European Championship on 29 April 1987, for the last time. This was a few weeks before he announced his retirement. He came out of retirement only once, on 27 November 1988 to play for Kuwait against the Soviet Union. On 1 November 1988, Platini was named coach of the French national team. 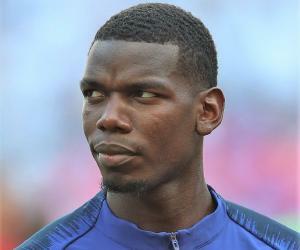 He served the French team for a period of 3 years. He was also the head of the organizing committee for the 1998 FIFA World Cup, held in France. On 2006, Michel Platini became the chairman of the FIFA Technical and Development Committee along with being vice-president of the French Football Federation. In 2007, he was elected as the president of the Union of the European Football Associations (UEFA). He was reelected again on March 2011 for a four year term. On 21st December 2015, the Swiss prosecutors charged FIFA president Sepp Blatter of making a "disloyal payment" of $2m to Platini. Being found guilty of ethics violations, he was banned from any kinds of sport activities for eight years. 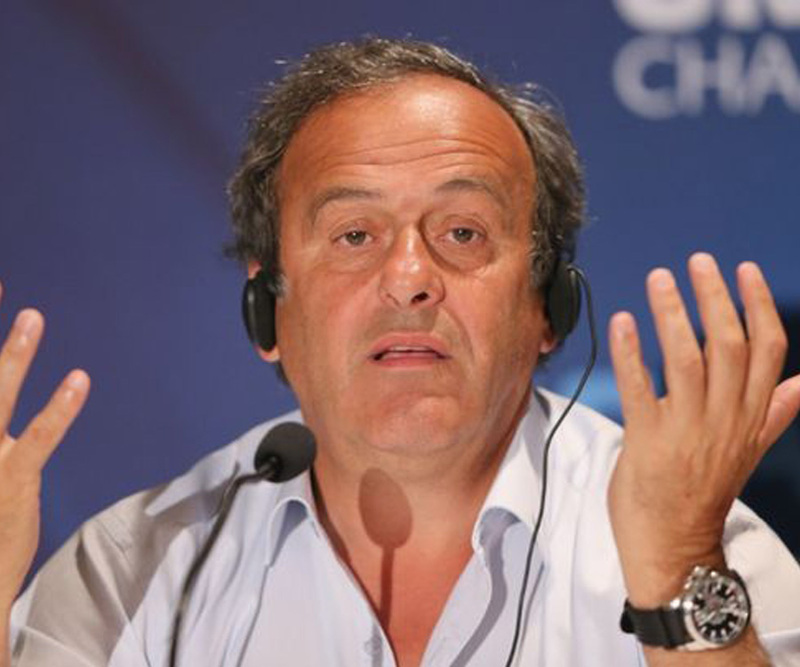 On July 2015, Platini had announced that he would run for the 2015 FIFA presidential campaign. He received three consecutive Ballon d’Or Awards in 1982, 1984 and 1985. 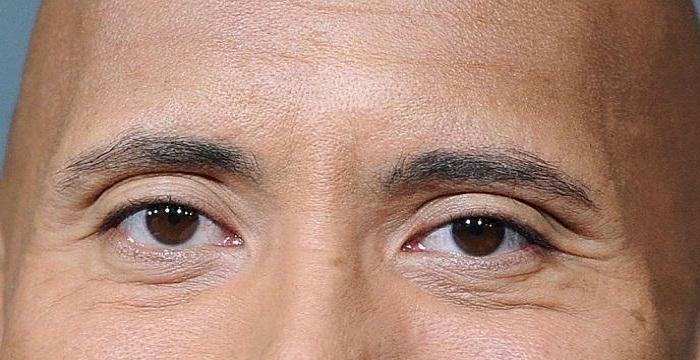 He was also the recipient of the Onze d'Or awards in the same three years. He won a hat-trick of European Footballer of the Year awards (1983 through 1985). Platini was also elected Player of the Year by World Soccer magazine in 1984 and 1985. He appeared on the field for 72 times as a representative of the French National Team and 49 times as captain. He scored 41 times, which was a record in the legacy of the French team untill Thierry Henry broke this. Platini was named Manager of the Year by the World Soccer Awards and received the El País European Coach of the year award in 1991. He married Christelle Platini in 1977 and the couple has two children. The family stays in a luxurious villa, in the French port of Cassis, near Marseilles. Platini was famous for being a prankster. He would set off firecrackers in public places and often pull pranks on his teammates by squeezing toothpaste tubes on their beds.